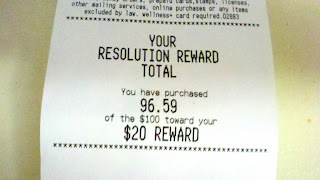 How Are Your Rite Aid Resolution Rewards?! Earn $20 REWARD! If you've kept up with Crunchy Deals, you know we are HUGE Rite Aid fans. The promo they have going right now is Resolution Rewards and it's so easy to do! You have to be a wellness+ member, go here and sign up or sign up in your local Rite Aid store. and you earn a $20 UP+ Reward!!! You can do this in separate transactions, Rite Aid even keeps track of your total on your receipt! This promo is through January 22d, about a week left! So, how close are YOU to that big UP+?! Sneak Peek: Sunday Coupon Preview for 01-16-2011! GIVEAWAY: Home Run Inn Pizza GIVEAWAY & Review! Freebie: High Country Kombucha Tea for FREE!